Anyone else feel like they blinked, and suddenly it’s almost the end of the year? But I don’t have time to sit here and wonder where the heck 2016 went — I’ve got a massive last-minute Christmas gift list to conquer! Since the hectic holiday season means I can’t seem to squeeze in any gym time, I’m trying to get in as many steps as possible, so shopping this year will mean hitting the streets of NOLA to find the perfect presents for my friends and family. And now that I’ve got my Fossil Q smart watch, I can keep track of all my physical activity as I stroll, browse, and occasionally rush around in search of gifts. First up, I’ll cruise my favorite plant shop for some present toppers, followed by the French Quarter to pick cool sunnies at one of my go-to spots. Then it’s off to the Central Business District where I can scoop up candles, ceramics, and accessories. By the time I hit up the shops in the Garden District for vintage pieces, I’ll hit my goal for the day, which I know because Fossil Q’s built-in fitness tracker keeps me accountable. But that’s not the only reason my Fossil Q smart watch is helping me manage the holidays this year; its ability to set alerts and reminders, Bluetooth technology, Android powered Wifi, voice activated Google, and Google Maps accessibility are all functions that make getting my to-do list, which currently includes a ton of gift wrapping and some holiday decorating, tackled that much easier. Considering all those capabilities (and I didn’t even mention the social media app alerts — obviously crucial, and more), the watch doesn’t look like other smart watches. Rather, my leather strap style is modern yet timeless, so it never looks out of place with outfits. As much as I love my gadgets, I also want to keep everything seamless with my snappy casual style! 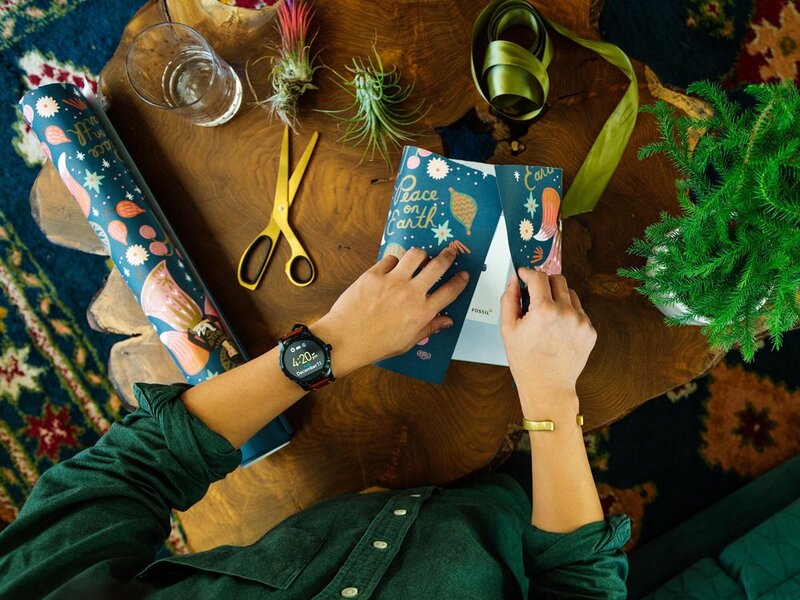 So while I’m quickly crossing off the many things on my holiday prep list, with the help of my Fossil Q, I still look like my normal stylish (if I do say so myself) self — just a really busy version of me.